Please ensure that each licensed technician is the actual person logging in and working through the course themselves, not someone else on their behalf. Welcome to the Heating and Cooling Incentive Program Contractor Training! Before you begin please ensure you allow yourself at least 30 minutes of undisturbed time this as module will take about 30 minutes to complete. WHAT IS THE INTENT OF THIS COURSE? Ontario has a goal to save 8.7 TWh of Electricity by the end of 2020 – this is the equivalent of taking close to one million homes off the grid for a year! Heating and Cooling Program aims to enroll 1500 contractors to save 245 GWh of electricity in 90,000 homes by 2020 – or about enough energy to brew over 20 trillion cups of coffee! WHAT EQUIPMENT IS FEATURED IN THIS MODULE? Did you know that many of the older methods to calculate loads tend to oversize equipment? Homeowners have come to expect systems to cycle, which is what oversized units tend to do. 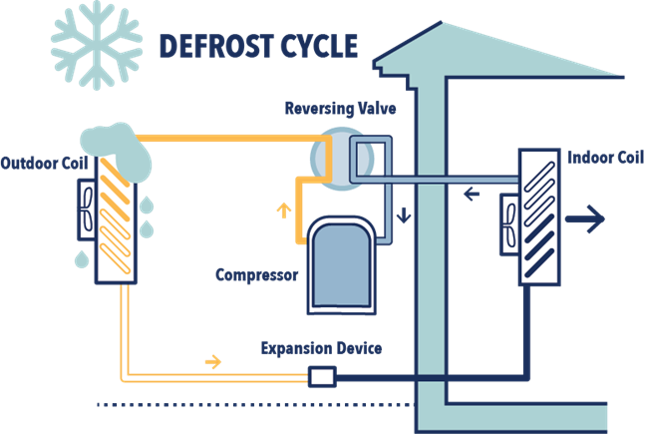 DID YOU KNOW THAT ONE OF THE MOST IMPORTANT FACTORS AFFECTING ENERGY EFFICIENCY OF HEAT PUMPS IS HOW WELL THE SYSTEM DEALS WITH FROST BUILD-UP ON THE OUTDOOR UNIT? 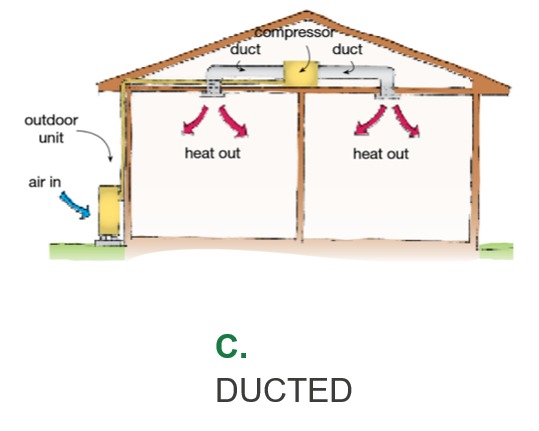 DID YOU KNOW THAT ONE OF THE BIGGEST FACTORS IMPACTING ENERGY EFFICIENCY IS THE AIR-TIGHTNESS OF THE DUCT SYSTEM? 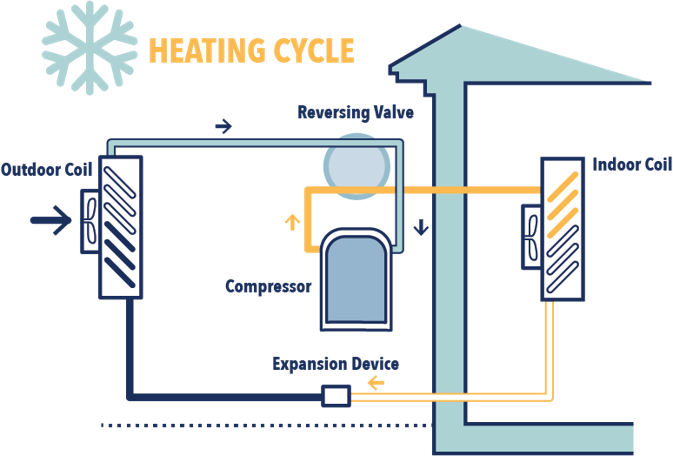 DID YOU KNOW THAT HEAT PUMPS DELIVER A HIGHER FLOW OF WARM AIR THAN MOST CENTRAL SYSTEMS? 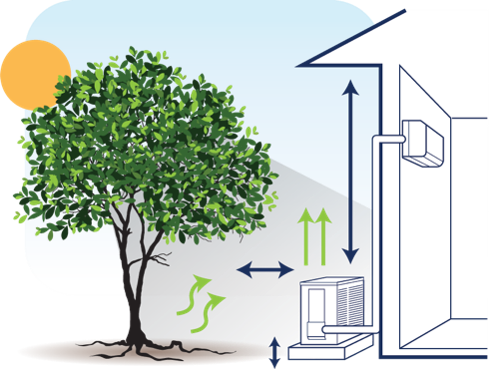 The outdoor unit should be kept free of debris, away from fences, walls and other surfaces that could reduce airflow and located in the shade in summer if possible. Should be located on the NORTH side of the building to avoid solar heat gain in the summer. Let your customers know that equipment running for long periods of time is a good thing – this means it is sized properly! Plant some deciduous trees and shrubs around the outdoor unit to provide shade in the summer for better performance. 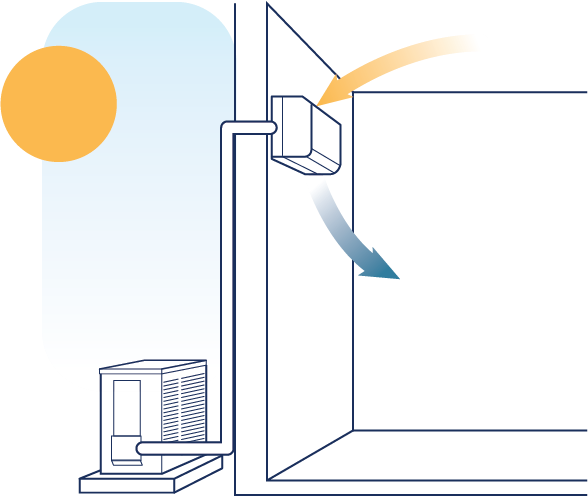 Indoor units should be installed in areas free of obstacles so that air can move freely. Filters should be cleaned and/or changed on a regular basis to ensure adequate air flow and indoor air quality. Set the fan to “auto” to achieve maximum energy savings. If your customers currently use a stand alone dehumidifier in the cooling season, they can probably get rid of it once they have their new ASHP (and save even more energy!). To save money, select a unit with demand defrost instead of time temperature defrost. Turn off the baseboard heaters when the unit is installed and only turn them on in times of extreme cold. Remember to turn them back off once the outdoor temperature begins to rise! 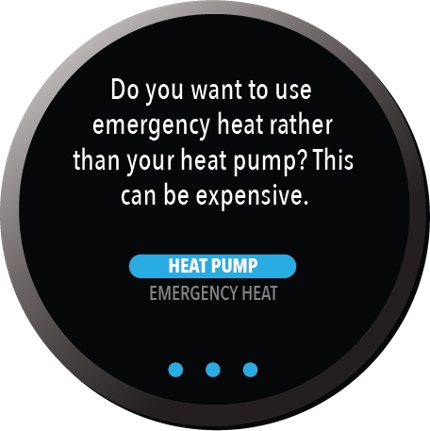 The ‘Emergency Heat’ feature on the heat pump thermostat should only be used when there is truly a need for ‘emergency heating’, such as a broken ASHP. 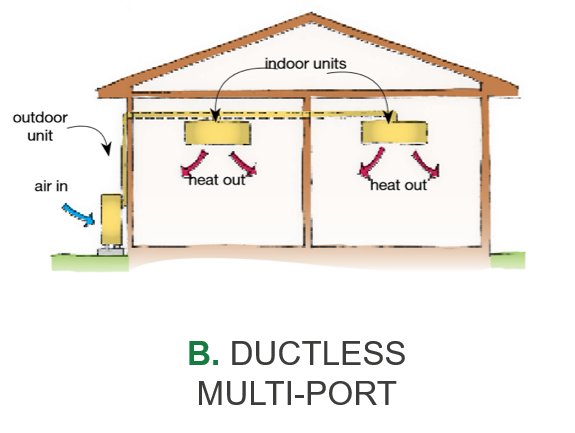 DID YOU KNOW THAT NOT ALL EQUIPMENT AND HOMES WILL BENEFIT EQUALLY FROM ADAPTIVE THERMOSTAT FEATURES? When are they at home the most? Do they use temperature setbacks at night or during the day? Do they use a computer / smart phone to track usage or operate other home functions? Have they ever used a programmable or adaptive thermostat before? Did you know that lowering temperature settings by 1°C (2°F) over an 8 hour period can save roughly 2% of a homes annual heating energy use? 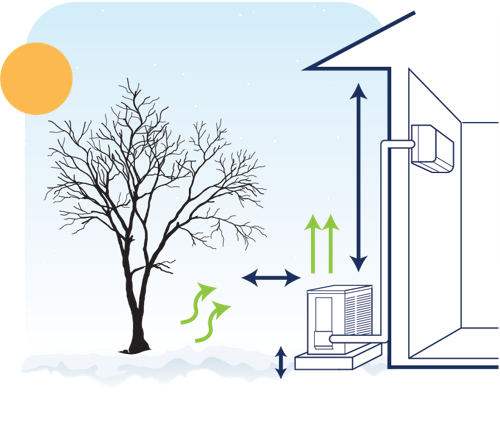 The Heat Pump Balance setting on certain Adaptive Thermostats will allow the customer to prioritize savings, comfort, or balance. 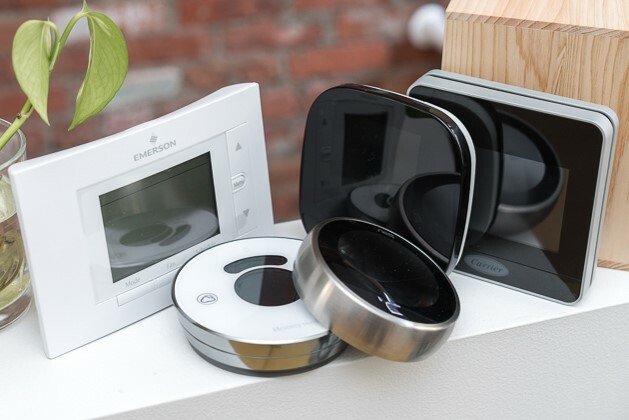 An Adaptive or “Smart” Thermostat with wi-fi technology will increase connectivity and communication, and can lead to increased participation and even more energy savings. 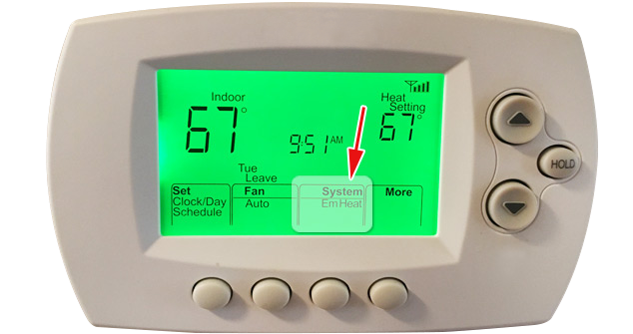 Energy-saving temperature settings for CACs and furnaces should be set for at least three hours, such as during the day when occupants are gone, or at night when occupants are asleep. 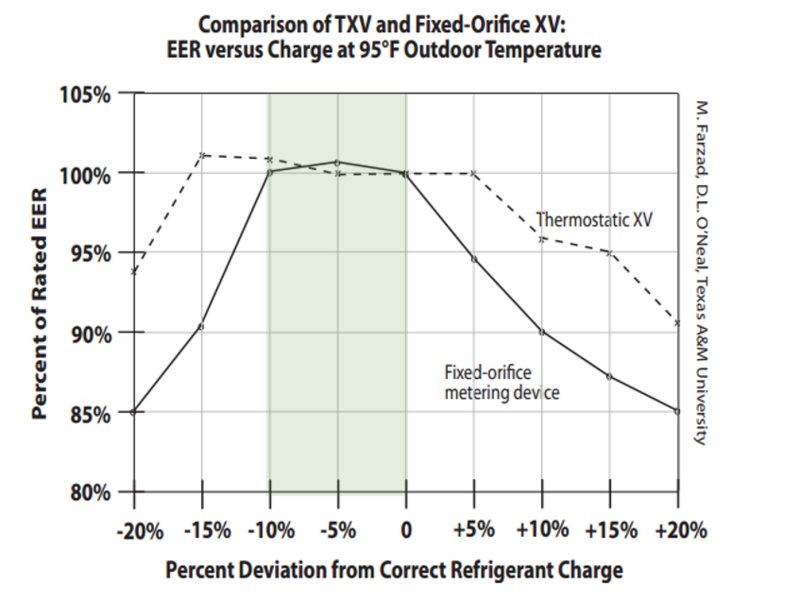 Adaptive thermostats are best used for CACs and furnaces – if used with heat pump equipment, the energy savings may not be as significant. 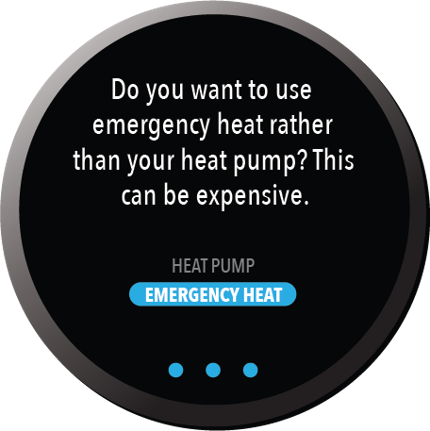 Install an Adaptive Thermostat with Aux Heat Lock-Out Temperature Control to prevent the more expensive auxiliary heating system from operating when it’s not needed. A Common wire may need to be installed in their home to provide AC (alternating current) power to the adaptive thermostat. 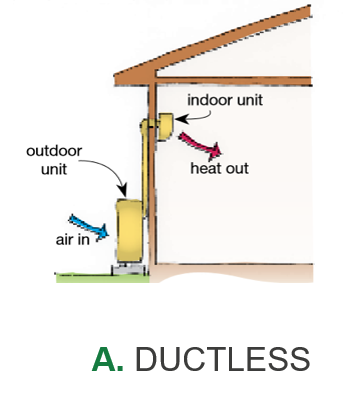 Ensure that the fan setting is set to ‘auto’ and not ‘on’ to save energy. DID YOU KNOW THAT ECMS CAN SAVE UP TO 80% OF ELECTRICITY WHEN COMPARED TO THAT USED BY TRADITIONALLY USED PSC MOTORS? Reducing operating speeds of the pump can reduce wear due to high velocity and increases the life of the system components, including boiler performance; especially if the original pump was badly oversized. 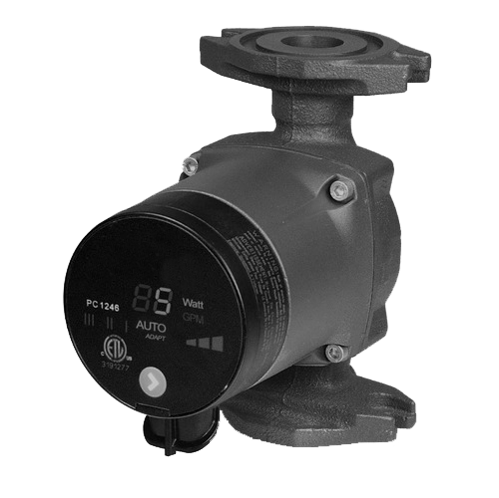 Ensure that, upon installation of an ECM circulator pump, automated controls are selected to ensure optimal efficiency. 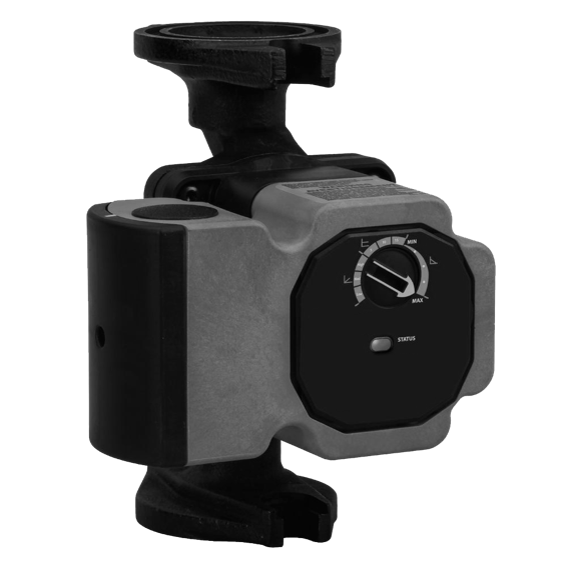 Ensure that the selected ECM circulator pump is specified by the Electrical Safety Authority as an acceptable alternative for the motor it is replacing. Thank you for participating in the Heating and Cooling Incentive Program Contractor Training.